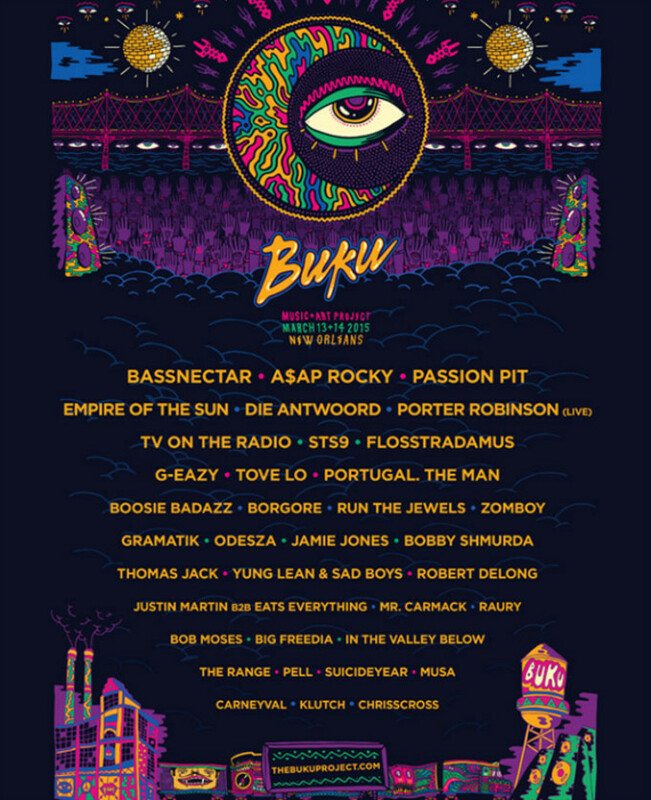 The fourth annual BUKU Music + Art Project is set to take place next March 13-14 at Mardi Gras World in New Orleans, La., featuring some of the biggest acts that rap, EDM, and rock have to offer. Today, the musical lineup for the two-day event was finally revealed, with A$AP Rocky and Bassnectar tapped to headline. Other artists set to perform include Run the Jewels, Flosstradamus, Passion Pit, TV on the Radio, Bobby Shmurda, Boosie Badazz, ODESZA, Porter Robinson, and more. The full lineup can be viewed in the flyer below. For more information on The BUKU Music + Art Project, visit the official website here. Two-day tickets start at $179.50 and will be available this coming Friday, Dec. 19.